Der massive Gunung Awu Stratovulkan befindet sich in das nördliche Ende des Great Sangihe Island, der größten der Sangihe-Bogen. Tiefe Täler, die Durchgänge für Lahars bilden sezieren die Flanken des Vulkans 1320 m hohen, die innerhalb einer Caldera 4.5 km Breite gebaut wurde. Highly explosive. Pyroclastic flows and lahars. Last week, PVMBG raised the alert level of Indonesia's northernmost known active volcano a notch, as small signs of new unrest had been detected recently: mostly, this is an increase in shallow seismic activity since the summer and more pronounced since the middle of November. On the other hand, gas measurements still show low values for SO2 and CO2, typical magmatic gasses of deeper origin. 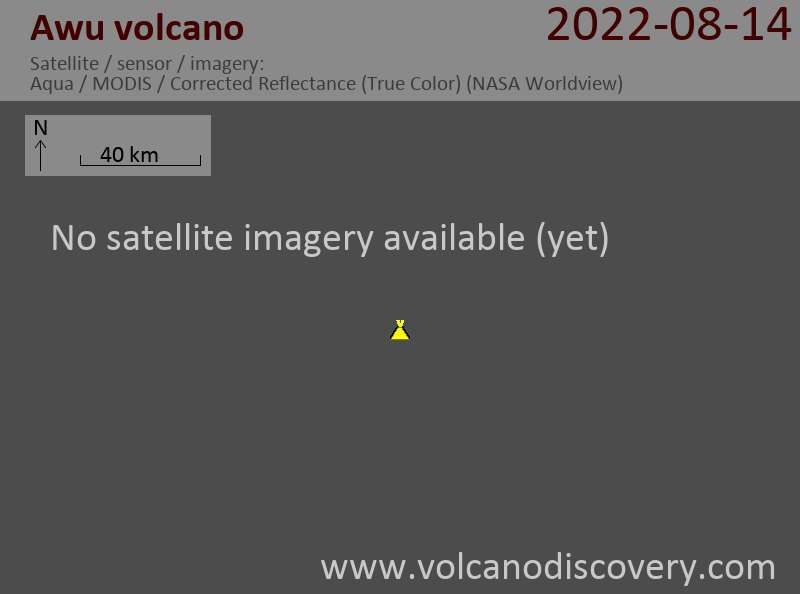 An eruption is currently not expected in the near future, but increased vigilance about the volcano is in place. After all, Awu is one of the deadliest of Indonesia's active volcanoes, having produced over 8000 (direct) fatalities combined during its eruptions since the beginning of the 18th century. Awu's last eruption occurred in 2004 and consisted in moderate explosive activity only, followed by the effusion of a new lava dome in its summit caldera. 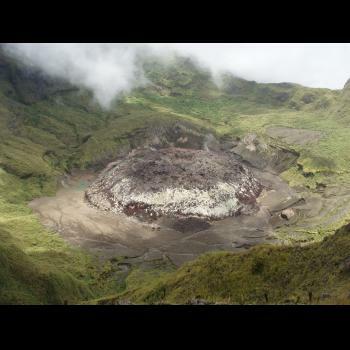 The volcano has also produced very powerful eruptions such as in 1812 and 1966 (ranking both VEI 4). During the 1966 eruption, the crater lake drained catastrophically and caused severe lahars that claimed almost 40 victims. The new lava dome from the 2004 eruption grew at the site of the lake, which is a remarkably similar situation to Kelut volcano in East Java in 2007. Kelut violently exploded its dome during the sub-plinian eruption on 13 Feb 2014, which came with little warning, and this is a very possible scenario for Awu as well. If the lava dome blocking the conduit is destroyed by a very strong explosion, it could threaten thousands of people living on the slopes and at the feet of the volcano (by pyroclastic flows, lahars, ash falls, ballistic ejecta). Volcano Tours on Hawai'i: The Hawaiian Islands are not only home to the most active volcanoes in the world, Kilauea and Mauna Loa on the Big Island, but also boast a unique natural environment. Born by volcanic activity of a very active hot spot in the middle of the Pacific Plate, they are a showcase of natural history.